Construction Business Magazine – July / August 2015 Vol.12 No. 5. 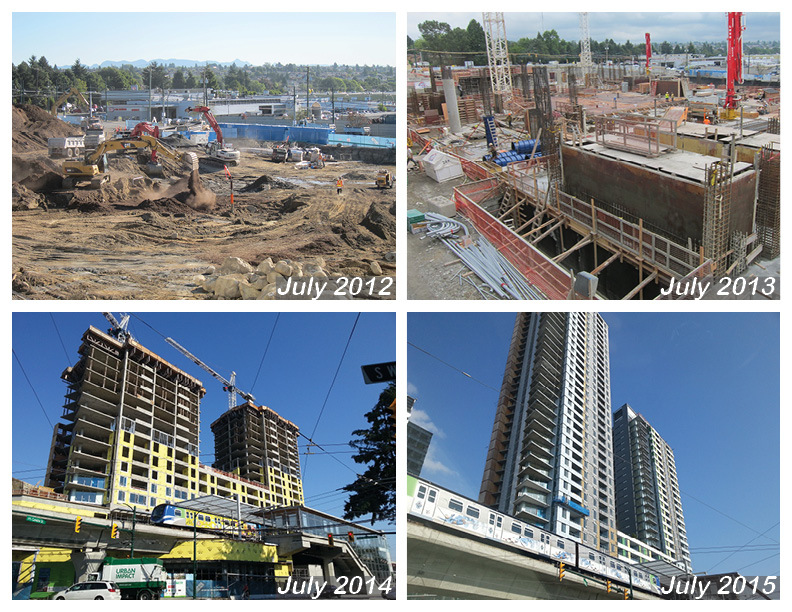 A compact, walkable and livable urban development is almost a reality in South Vancouver. 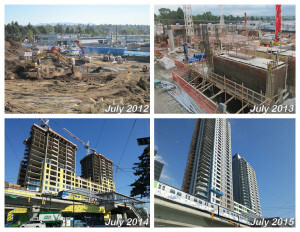 As the first major development to be approved along the Canada Line and the Cambie Corridor, Marine Gateway is setting the benchmark for future transit-oriented projects. 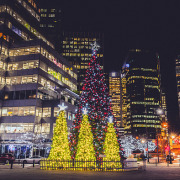 With the holiday shopping season ratcheting up, two large retail developments in Metro Vancouver are in the process of opening, with the developers touting the convenience of nearby public transit as a lure for shoppers. 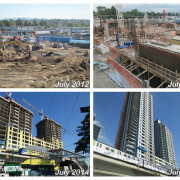 Metro Vancouver’s retail sector is transforming, with retailers at Marine Gateway in Vancouver and Station Square in Burnaby opening new shops at dense, mixed-use projects located at transit hubs, with immediate connections to the SkyTrain, Canada Line and bus networks. With retail openings taking place now through early 2016, Marine Gateway will include shops, a pub, offices, a fitness facility and an 11-screen Cineplex Theatre complex. 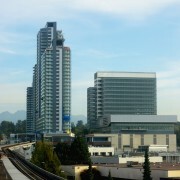 The development, located at the Canada Line’s Marine Drive station near the South Vancouver Bus Loop, also includes 415 condominium and 46 rental units. According to the Downtown Surrey Business Improvement Association, these are the top 10 reasons in invest in Downtown Surrey. 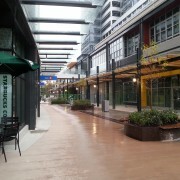 36 Months of Construction – Done! 36/39 months of construction completed. 3 more months to go! To celebrate the progress, our #marinegateway #funfacts series kicks off on Monday, July 27 to reveal cool (we hope!) 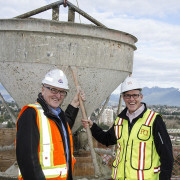 facts about Marine Gateway – South Vancouver’s newest urban town centre coming this fall. Follow us on Twitter and Facebook to stay updated! https://pci-group.com/wp-content/uploads/MG-2012-2015.jpg 612 792 Christina Chan /wp-content/uploads/PCI-Developments-logo.png Christina Chan2015-07-25 00:25:212015-07-30 18:01:0236 Months of Construction - Done! 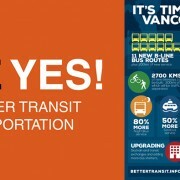 Vote YES For Better Transit and Transportation! https://pci-group.com/wp-content/uploads/Vote-Yes-header-940-width.jpg 395 940 Mei Wong /wp-content/uploads/PCI-Developments-logo.png Mei Wong2015-02-26 19:00:222015-02-26 19:00:22Vote YES For Better Transit and Transportation! 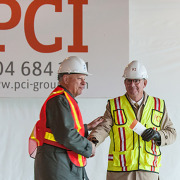 On January 28, 2015, PCI, Ledcor, Triovest and Perkins + Will celebrated the topping off of the 3 towers at Marine Gateway.